Pioneers in the industry, we offer fasteners packaging printed ld pouch and multi colour ld pouch from India. 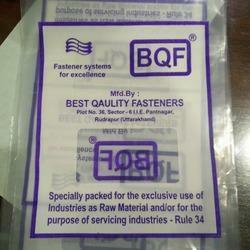 We are proficient to offer the best quality range of Fasteners Packaging Printed LD Pouch. Furthermore, our products are strictly checked by quality checker in order to perfect delivery.